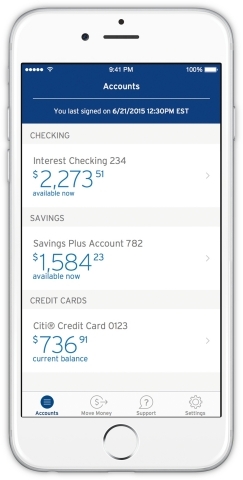 Citibank has released a major new version of its Citi Mobile app for iPhone with changes that customers should appreciate. Similar to Chase recently, Citibank has added the ability to log in using your fingerprint and Touch ID on the iPhone 5s, iPhone 6, and iPhone 6 Plus. This option allows you to avoid having to tap in your password each time when checking your account information while maintaining security. The Citi Mobile® app has been powerfully simplified with a completely redesigned look and experience, including a brand new navigation. Plus, it’s Apple Watch device ready and it works with Touch ID on your iPhone. Citi Mobile for iPhone and now Apple Watch is available from the App Store.